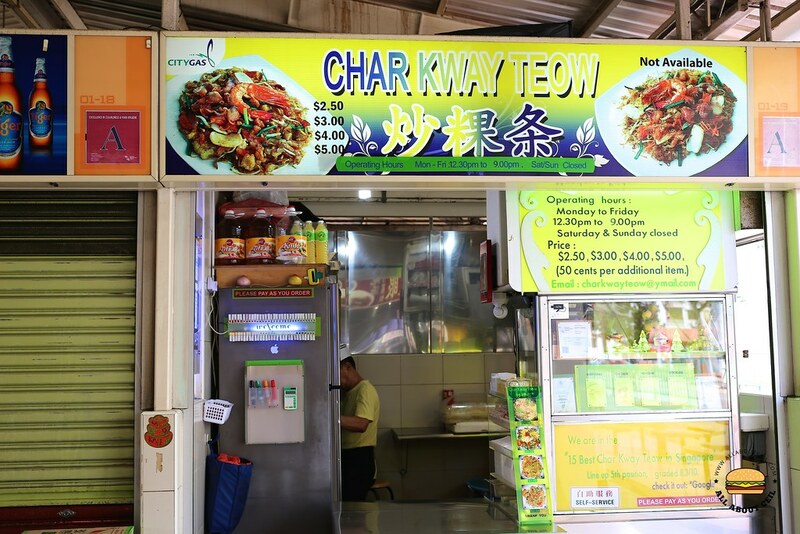 Mr Chee Wei Liang, 61, is the owner of a char kway teow stall at Circuit Road Food Centre in Macpherson. He took over the stall from his father that was there for about 40 years in this area. He has been running the stall for more than a decade, he even modified the original recipe to a healthier version. My first visit was just last week. When placing my order, I requested for an extra amount of chilli to be added. He asked, "Have you ever eaten before?". I replied, "No. This is the first time." He then said, "My chilli is very hot and not all can take it." Then he suggested mixing a little in during the frying process and also placing some by the side which I agreed. I revisited within a week and this time, even before I place the order, he asked, "Have you eaten before?" I nodded and said, "I know your chilli is very spicy." He chuckled. He then asked, "So how? Do you want me to mix the chilli in or have it served on the side?" I replied, "Both, please." The smallest portion is at $2.50 followed by $3.00 then the $4.00 and $5.00, only the $4.00 and $5.00 served with medium sized prawn. I ordered the $3.00 portion this time. This Uncle is known to be the "dancing char kway teow man" as he will start dancing especially when there are massive orders lining up. He said, "This is partly to keep the momentum going and also to exercise as this will be my only time to do so." I did not get to see him dance in both occasions as I was his only customer. His char kway teow is different from the other stalls. This is the healthier version with lesser oil, no pork sausages and fried pork lards, their replacements are mock char siew and chicken ham, he also added in preserved radish (chye poh) with a good amount of garlic to bring out the flavour. 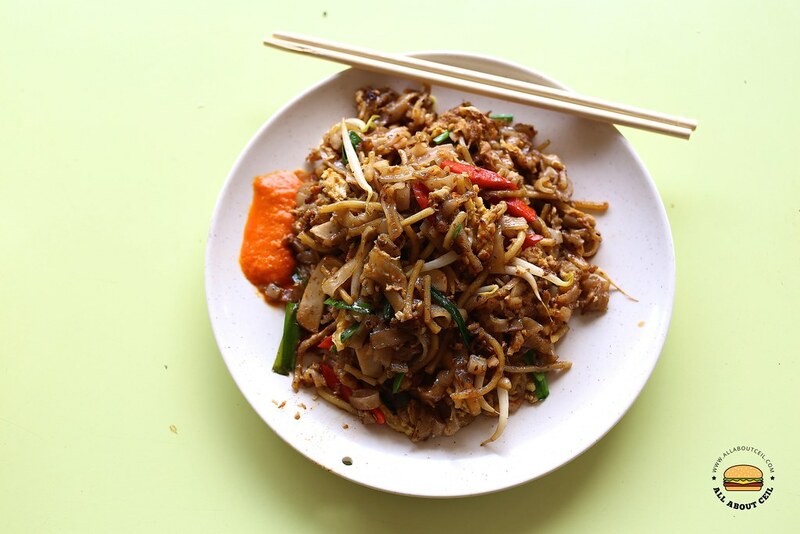 He is using thinner kway teow, which is more commonly seen in the Penang style char kway teow. He then fried all the ingredients together with fish sauce and dark sweet soy sauce with a dash of Hua Diao Wine and lemon juice together with bean sprouts, chives and beaten eggs. 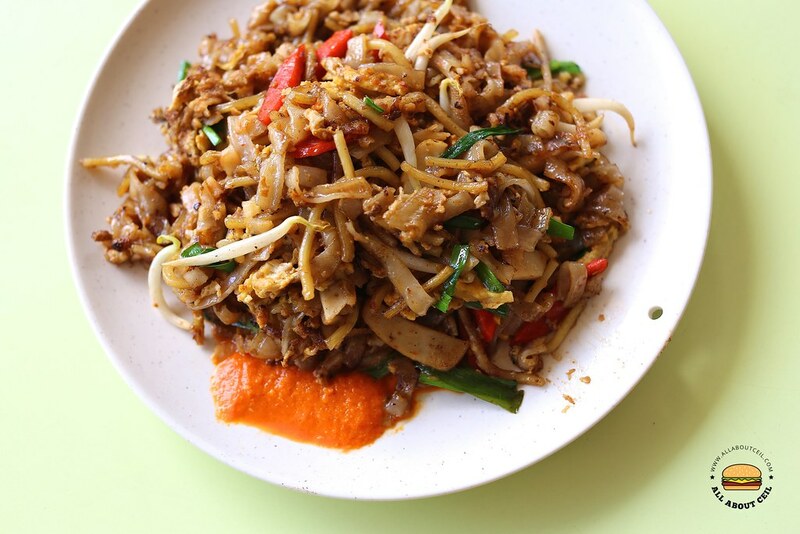 He does not include the fresh cockles during the cooking process but placed them on the pile of char kway teow when is ready to serve. His reason for doing so is not wanting to overcook those cockles. His homemade chilli is different, it is in bright orangey red and is very spicy. I was told that his standard is not on par when compared it to his dad. You will either like it or hate this healthier version. I am not a fan. 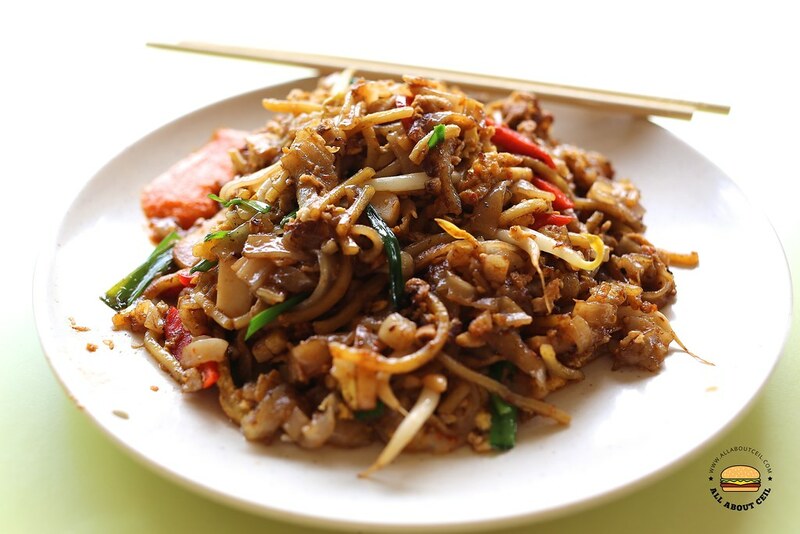 I still like to have lots of fried pork lards added to my char kway teow. Uncle is planning to retire in a few years time and is actively looking for a disciple to take over his stall.